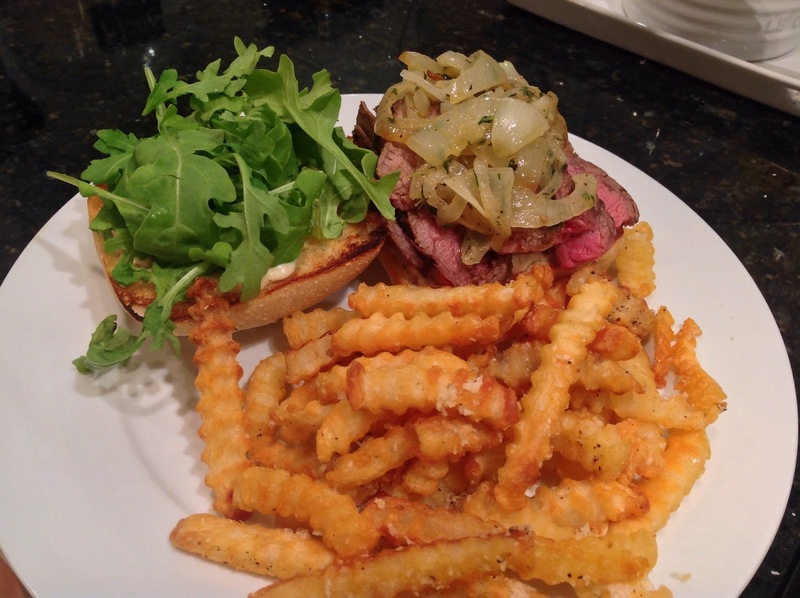 When I say I could sell this steak sandwich and make a million trillion dollars, I might be exaggerating just a bit! But, it is one good dang sandwich!! 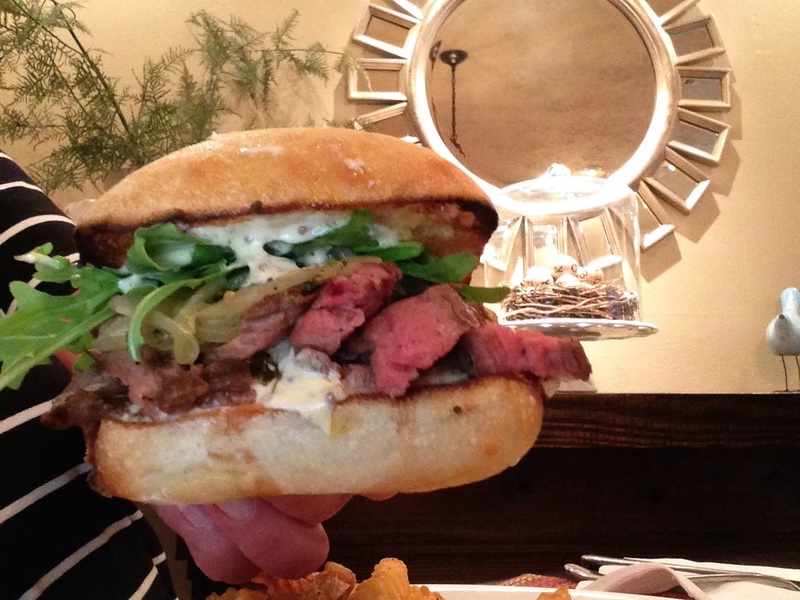 The marinade for the steak is what makes it...no it's the Dijon mayo...no it's the grilled onions with thyme and butter... no it's the toasted ciabatta rolls, oh wait it's the combo of all those flavors packed in to one delicious sandwich! I served them with some parmesan fries. These were no biggie! I just took frozen fries, drizzled a little EVOO, salt and pepper and baked them. Then grated fresh parmesan and baked them for 5-10 mins more. And I tell ya what ya got..you've got one heck of a dinner! First I whipped up the Dijon mayo-Easy! 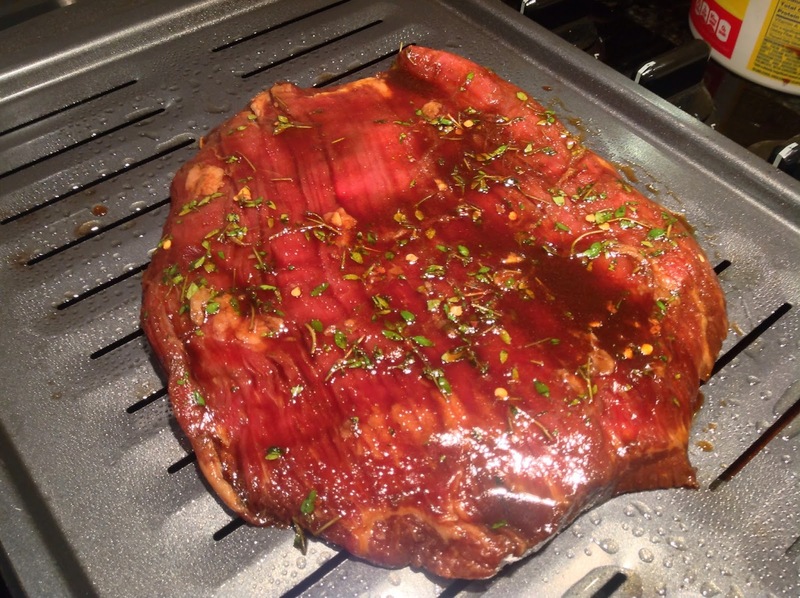 The marinade is a mixture of soy sauce, balsamic vinegar, brown sugar, fresh thyme and few other spices! 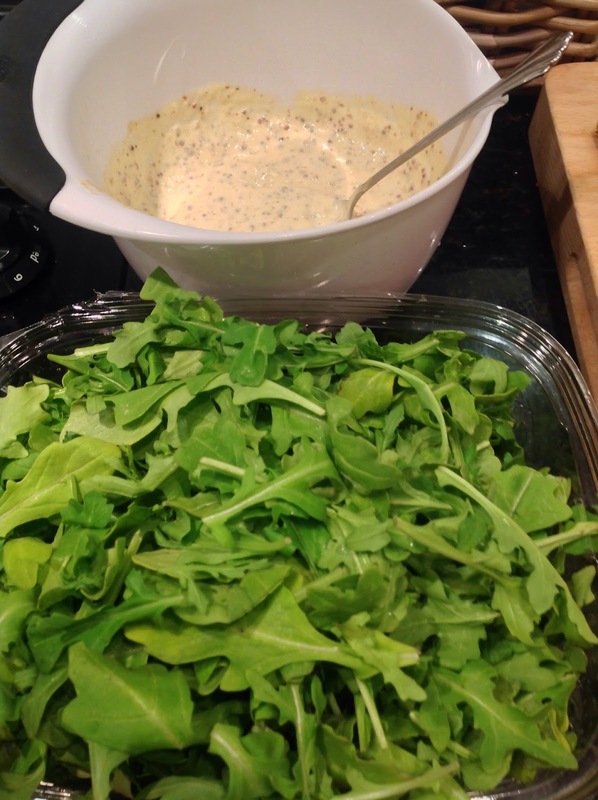 Fresh arugula with that peppery flavor compliments steak really well! 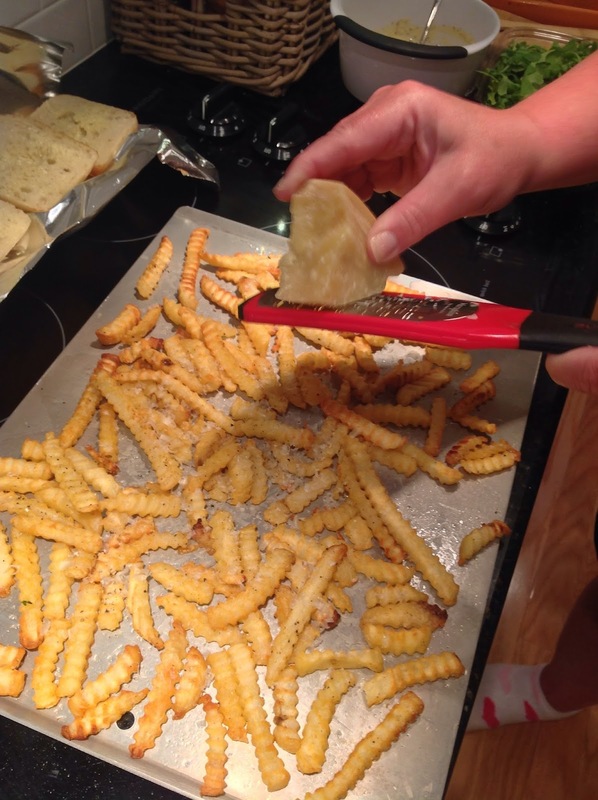 I took frozen fries, tossed them in a little EVOO, kosher salt, fresh ground pepper, and baked till crispy. Then grated fresh parmesan cheese and popped them back in the oven until the cheese has melted. What a great way to add a little zing to frozen fries! They were great! 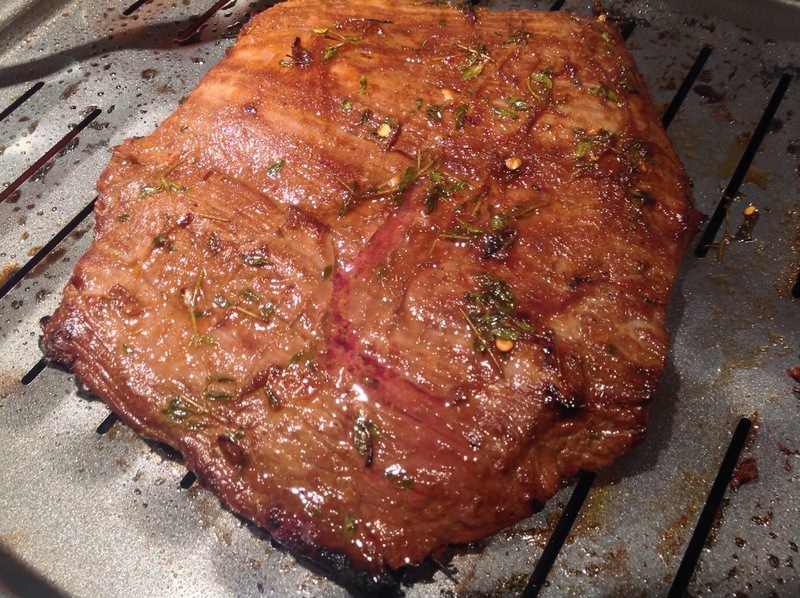 I just broiled the flank steak on a broiler pan turning once after about 6 minutes. But, you could grill it outside or use a grill pan. I've done both. Toast your ciabatta rolls with butter, yes more butter. Don't judge! Spread a little dijon-mayo on both sides of the bun and layer the rest on! I'll let this picture talk for itself! So here's what you'll need to make this mouth watering goodness!! Broil in oven for 6 mins. each side or grill 7-10 min. each side turning once. 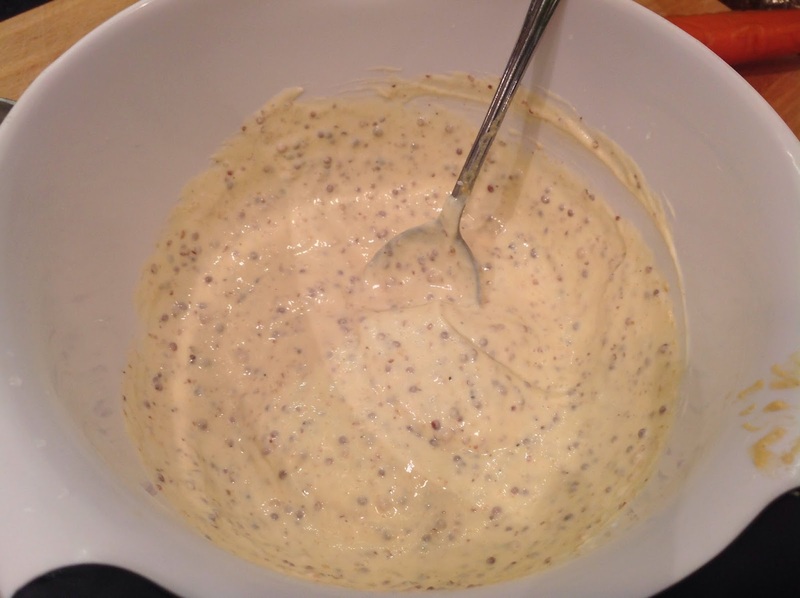 Whisk ingredients together in a small bowl. Serve at room temp. 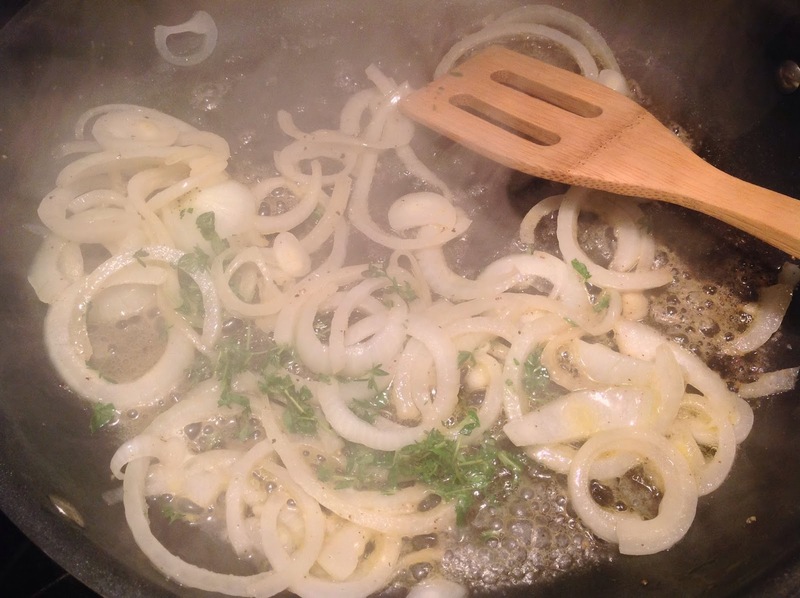 Saute onions in 2 Tablespoons butter, salt, pepper, 1 tablespoon fresh thyme until caramelized. To assemble the sandwiches, spread mustard mayo on the both sides of each bun. Place a layer of steak strips on top. Top with caramelized onions. 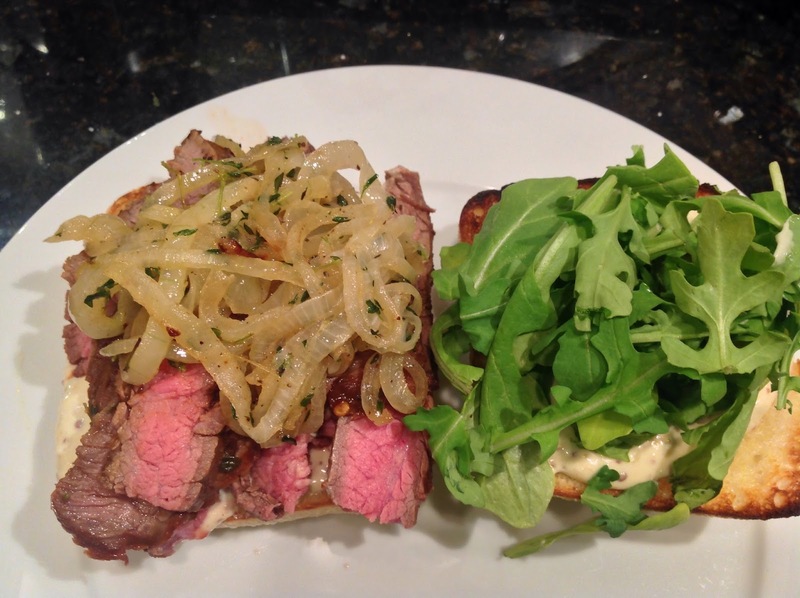 Place arugula on top of onions.